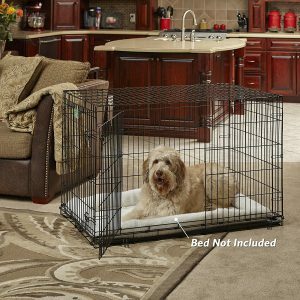 If you have a dog, The MidWest iCrate Folding Metal Dog Crate is an indispensable tool you’re going to love…and rely on. 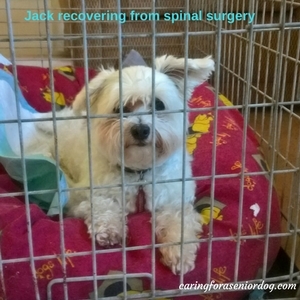 The first time I ever needed a crate was when my dog Jack became paralysed. It was the only way to ensure he would remain still during his long recovery. Of the many I researched, one stood out above all the rest – the MidWest iCrate. The MidWest iCrate Folding Metal Dog Crate is so versatile and loaded with great features, you’ll wonder why you waited this long to buy one. Let’s take a look at the features and you’ll know why I love it some much. I love the option! The double door model has front and side entrance, so wherever you put it your dog will have easy access. I find having a second door makes it easier to reach something in the back of the crate, retrieve a toy, and clean. There are some dogs who should be called Houdini, due to their ability to escape what should be the inescapable. Two latches provide greater security, keeping your dog safe and where he belongs. I’m a girl who likes choice and options, and when I find something I need and it doesn’t come in the size I want, it’s annoying. I don’t have that problem with a choice like this! A divider panel is a serious bonus because it’s a money saver. It means that you don’t have to buy different size crates as your dog grows. Choose the one best suited for his full grown size, then use the divider to adjust the living space over time. The crate should be big enough for him to stand up and turn around in, but not too big that he will use an area to pee and poop in. I’ve banged myself on more than one sharp crate edge, as has my blind dog, so having rounded corners and fewer injuries is a plus. Accidents happen, and what better way to make clean up a breeze and protect your flooring, than with a removable washable pan. The last crate we had did not have a handle, and although we rarely moved it when we did it was awkward. The one we have now does have a handle and believe me, it’s easier! Dogs do move around in the crate so rubber feet can protect your floor from unsightly marks. Having a crate that folds is a massive selling point. What am I saying – I wouldn’t buy one that didn’t fold! Whether you’re using it for short periods or traveling with it, you want to be able to store it easily – under a bed, back of an SUV or even against a wall in a closet. It also means it sets up and folds down in seconds, with no tools required. Strength and durability are key when it comes to keeping your pets safe. I would hate to think what could happen if a dog were able to somehow chew or claw his way out. I like knowing a product comes with some sort of warranty should a problem arise. 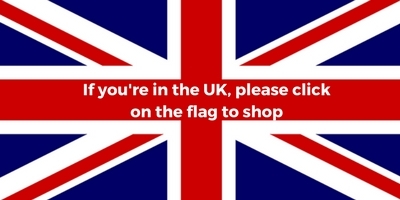 It’s also a good sign a company stands behind their product and cares about their customers. Six months ago my dog Jack became paralysed. It was sudden, and long story short he had spinal surgery. As recovery was going to be a long, slow process, the neurologist advised us to get a crate so we did. As he had never been crate trained, and knowing him as well as I do (at least I thought I did!! ), I was sure he wouldn’t go near it. Imagine our shock when he walked right in and stayed there…willingly. We put in a nice comfy bed and blanket, covered 2 of the sides and it became his new home. He slept in it for 5 months and it was such a critical part of his recovery. Although he no longer needs it on a regular basis, we bought a smaller one to use when we go out. He’s not allowed to jump on and off furniture, but I know he will if we’re not home to supervise. He also uses it when he wants some alone time, especially when he wants to get away from our current foster dog. My older dog Red enjoys it as well. Many times I’ve come into the living room to find she wandered in and settled down for a nap. I found 14,454 customer reviews at the time of writing and they had awarded the MidWest iCrate 4.6 stars out of a possible 5. Some customers had issues with the quality and sturdiness of the crate, and felt a determined dog could get out, which did happen in some cases. While these are serious concerns, the majority of buyers were very satisfied with the quality and had no such experiences. For me, the thousands and thousands of satisfied customers coupled with my own experiences, means I wouldn’t hesitate to recommend this product. 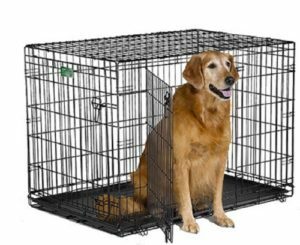 In summary, the MidWest iCrate Folding Metal Dog Crate is a very highly rated product, with most reviews loving the sturdiness, quality and flexibility. They love it can take their dog through the various life stages in safety and comfort, with the ease of folding it away for storage. 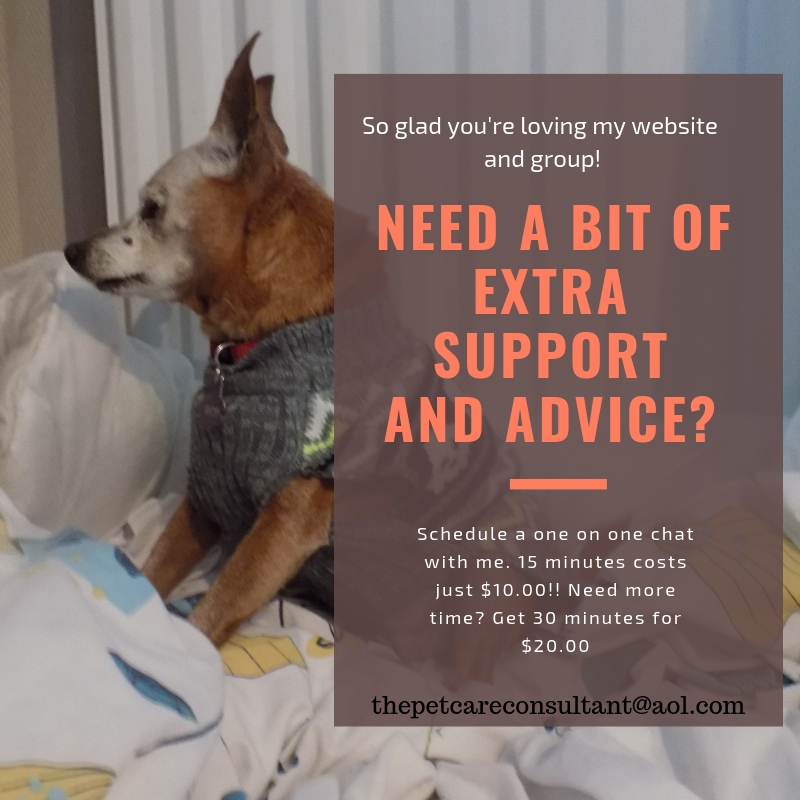 Great for housetraining puppies and dogs of all ages, dogs or cats recovering from injury or surgery, or as a safe and cosy den when they need quiet time in their own space. Most real buyers of this product are extremely pleased with their purchase and would recommend it to others.